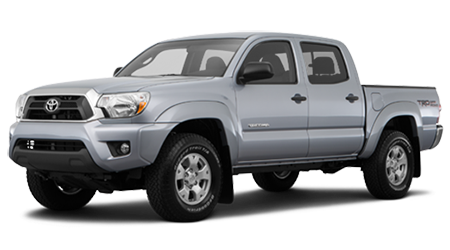 The 2015 Toyota Tacoma continues on as one of the best small pickup trucks available on the market today. If you are shopping for a truck with nearly full sized capabilities, but better mileage and easier parking, you ought to be shopping for a Tacoma at Lipton Toyota in Fort Lauderdale, FL, not far from Deerfield Beach or the surrounding towns. 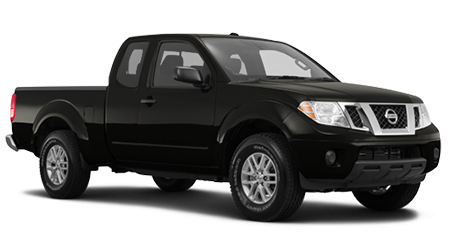 The 2015 Nissan Frontier is also a good small truck, but it is just not as good as the Tacoma when you compare them closely head to head. The lowest priced pickup truck available by both of these manufacturers are popular with fleet buyers looking to save money. The Toyota Tacoma has a slightly higher base MSRP, but it also retains almost 75% resale value after 3 years, compared to 55% for the Frontier. Tacoma also comes standard with slightly more power, better mileage, and 300lbs more cargo capacity. Tacoma also has more interior room than the Frontier, and though it has a longer wheelbase it actually is more maneuverable, with a smaller turning circle. Toyota will let you buy a Tacoma with the 2.7-liter 159hp 4-cylinder motor in a crew cab body style, or with 4-wheel drive and a manual transmission, neither of which are available from Nissan. The Nissan Frontier's 4-cylinder motor is reserved only for low trim level, 2WD, extended cab trucks. 4WD and crew cab trucks from Nissan only come with a thirsty V6. A Tacoma with the 4-cylinder is the only one of these 2 trucks that gets more than 20 mpg in EPA city tests. Many manufacturers don't even bother making small truck anymore, but the 2015 Tacoma shows that Toyota is still committed to making one of the best. Come on down to Lipton Toyota in Ft. Lauderdale, FL and take one for a spin today. If you live in Weston or Hollywood, you're practically here already.